The elemental wherewithal of our farms and our food is in motion. Whirlwinds of change bear upon our land, air, water and climate. Fundamental forces have shouldered their way front and center. The land calls urgently. As reported worldwide this month, scientific evidence shows that the level of the most important heat-trapping gas in the atmosphere, carbon dioxide (CO2), has mounted far beyond the danger zone. Heat is rising. Consequences are evident. CO2 has now reached an average daily level above 400 parts per million, a level the Earth has not experienced for three million years. That was during an epoch called the Pliocene. 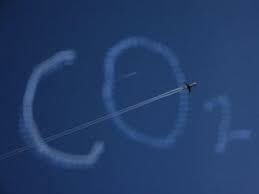 The overwhelming majority of scientists understand that this current rise in CO2 portends epic changes. Following the front-page news about the rapid deterioration of the earth’s climate, came two other hard news stories that underscore the matter of food vulnerability: news of the disease-driven collapse of the staple food crop for more than 500 million human beings in Africa, and news of grave troubles for citrus fruits in America and around the world. Climate change and crop disease are serious business. Here the land is not just calling, it’s shrieking. 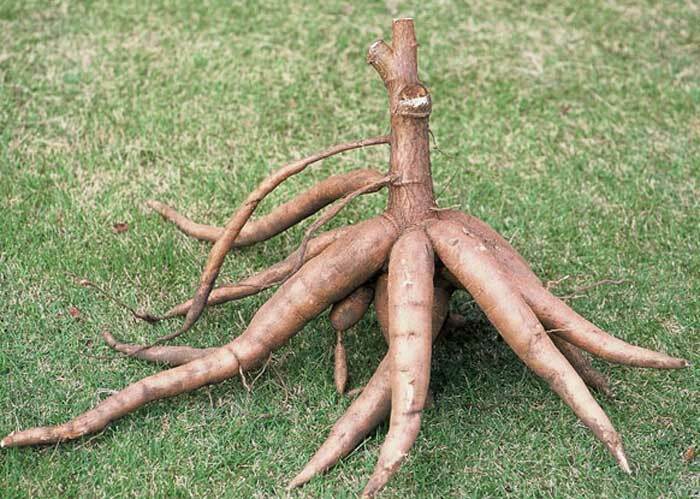 In Africa the cassava plant – which produces a large, edible root – is succumbing to brown streak disease. Africa already suffers debilitating food shortages. Because casava is the staple food for the continent, this plant disease is calamitous. Meanwhile, the citrus industry is grappling with an infernal bacterial disease that has now killed millions of plants in the southeastern United States and is threatening to spread across the entire country. The disease has also been found in Asia, Africa, and South America. Citrus Greening, also called Huanglongbing or Yellow Dragon Disease, is fatal. 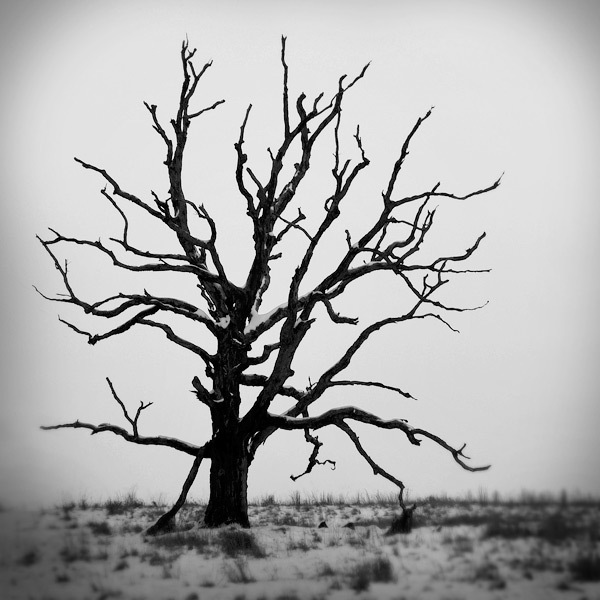 The bacteria devastate trees, rendering bitter, misshapen oranges, then death for the entire organism. There is no known cure. When I absorb this short stack of climate and food news — just a fraction of the farm and food factors in flux — I realize that we must dig in now more resolutely to build a clean, respectful, sacred and sustainable foundation for civilization. That is the direction forward. Many thousands of local, organic agrarian farm-and-food initiatives have arisen across the Americas in the last 25 years. They offer a wide array of working models. Those models can and should be replicated and emulated far and wide. They represent intelligent and promising responses to the imperative call of the land. Organic farms and the cooperative food systems they are entwined with (the whole, broad range of 21st century agrarian initiatives) have manifold positive responses to the central issues, and a track record of evidence. 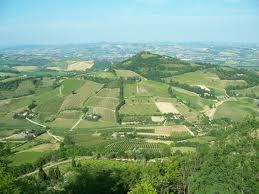 They sequester carbon in the land and thereby mitigate CO2, helping stabilize climate. They offer clean, fresh food directly to people who live near the source. They provide dignified work in nature. They knit together healthy webs of relationship, both personal and digital, around concerns of a foundational nature to every human being. They teach essential ethical values. They establish oases of radiant environmental health. And they bring large numbers of people into a more direct and equitable relationship with the human beings who grow their food, and the land it is grown upon. 21st century agrarian initiatives also provide wholesome anchoring points (network nodes) for the brittle high-tech, digital-wave culture emerging so dynamically in our world. We are just at the beginning of that, really. This 21st century agrarian initiatives – the many thousands of urban farms, CSAs, co-ops, community kitchens, church farms, and city gardens of all sizes shapes and descriptions – constitute core elements of a more wise and respectful human response to the imperative call of the land. The cooperative development of clean local food systems is in no way a boutique idea or a passing fad. It is a key element of modern food security, and it is emerging not just as prudent but also as essential. 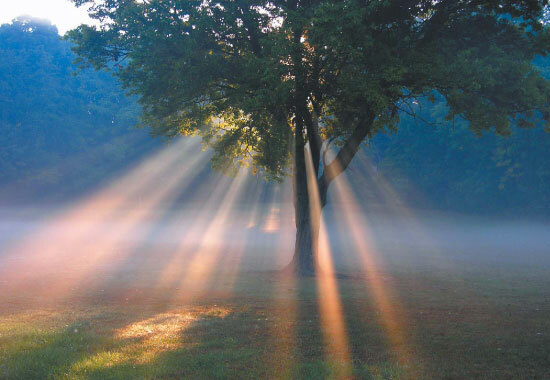 It is also about the renewal of our overall human relationship with the earth that sustains us. On March 1, 2012 The Club of Rome and the Smithsonian Institution are hosting a symposium to celebrate the 40th anniversary of the launching of the book, The Limits to Growth. The symposium on this landmark work and its implications for today will be globally webcast for free starting at 9 am EST. When The Limits to Growth was published in 1972, it had a seminal impact on me and thousands of others who responded to its message — the call of the land articulated in stark scientific terms — with healthy, positive agrarian initiatives. Collectively, those initiatives helped lay the groundwork for the good food movement of today. 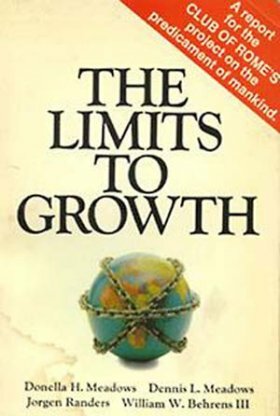 The Limits to Growth was selected as one of the most influential environmental books of the 20th century, and it sold over 12 million copies in 37 languages. It was one of the earliest scholarly works to recognize that the world was fast approaching its sustainable limits. 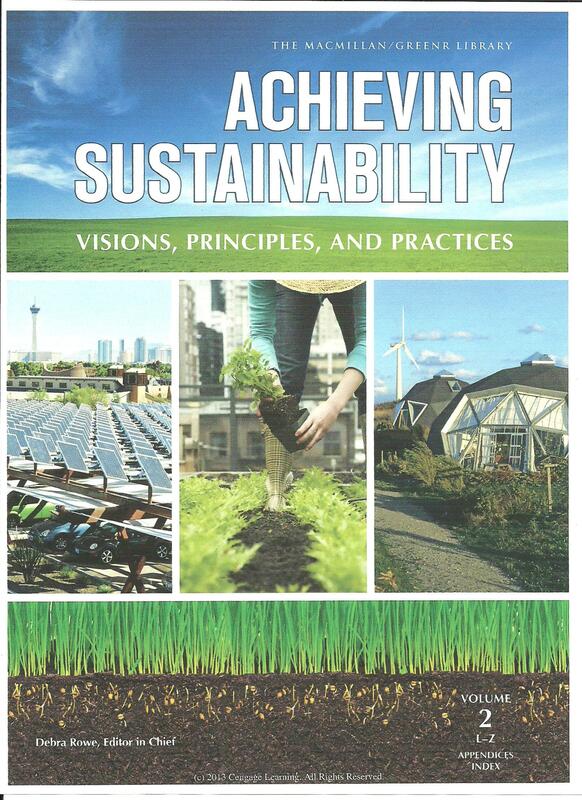 Forty years later, the planet continues to face the economic, social, and environmental challenges outlined in the book, and environmental health and stability continue to deteriorate. One of the original co-authors, Dennis Meadows will give the first presentation at the seminar,”It Is Too Late for Sustainable Development.” His formal remarks will describe how his understanding about the interaction of limits with physical growth on the planet has changed over the past 40 years, and also justify his proposal that humanity’s focus should now be more on resilience than on sustainability. The symposium will also include original coauthor Jørgen Randers, Neva Goodwin, and Lester Brown, President of the Earth Policy Institute and author of World on the Edge: How to Prevent Environmental and Economic Collapse. The call of the land is amping up into a howl sounded around the world, a howl that is beginning to echo down the aisles of food markets and within empty bellies, far and near. World food prices hit a record high in January. They have continued their sharp rise through early February. By a convincing majority, observers of the global food scene expect supply to continue being pinched, and for prices to climb relentlessly upward, perhaps as much as another 40% in the Americas over the next two years, and even higher elsewhere. Now is the time for action. We’re in a global danger zone. Ultimately, the Americas are entwined with all that unfolds in the realm of farms and food around the world. The UN’s acute concern is that the latest spikes in prices will spark a repeat of the deadly food riots that broke out in 2008 in Haiti, Kenya and Somalia. Just since the start of 2011, surging food prices have helped fuel the ongoing rage of citizens in Tunisia, Egypt and Jordan. Speculators are heedlessly active for profit, snapping up commodities and thereby impelling food prices upward. UN reports show that up to 70% of business on commodity markets is speculation rather than trade. The global food situation is morphing rapidly. The potential for various levels of chaos is palpable. This critical reality calls for smart, swift response. 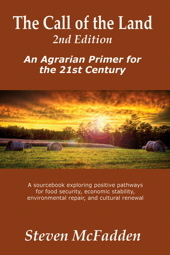 Thousands of pioneering households and communities, churches, and companies have already devised working, healthy, sustainable responses, and established models for taking care of the land, for producing an abundance of clean food, and of finding ways to knit themselves together around something foundational: our food and how we grow it. Those models stand out as intelligent and worthy responses to the howl of the times and of the land. To portray a broad array of these positive, proactive models for households and communities, I teamed up with my partner Elizabeth Wolf and the skillful publishing trio at NorLightsPress.com to do something more comprehensive as a guide for people. We wanted to offer readers an even wider and richer range of possibilities for creative responses to the urgent howl of the land. We accomplished our goal. We have completed our work assembling a greatly expanded 2nd edition of The Call of the Land: An Agrarian Primer for the 21st Century. You can check it out here. Our hope is that the 2nd edition of The Call of the Land will serve as a rough guide for many as we navigate this era of change. We feel that farms, farmers markets, CSAs, schools, companies, and many other constellations of humanity will find it to be a good tool for teaching, and especially for building wider community support. We have scheduled the official publication date of this 2nd edition of the book for April. However, owing to the global food crisis, we felt it important to make it available now. Drought is igniting Russia, and floods of ‘mind-blowing’ proportion are drowning Pakistan. Dry or wet, unstable climate conditions are wreaking havoc on people’s lives and their crops — not just in those two locales, but in many places around the world as well. Meanwhile, speculators — not just the usual commodity investors, but big money players — are driving up the cost of food by injecting money into national and international markets in ways intended to make profits for themselves. But those monetary moves on the part of financiers are a major factor driving up the prices in supermarkets for people who just want to eat. It is in this context that the Millennial Agrarians are coming forward with their solutions, producing clean food and healing the land. They are imbued with civic courage. In general, civic courage is a term characterizing the soul state of civilians who confront the problems of the world and advance solutions. With their work on the land — in cities, suburbs and countryside, the Millennial Agrarians are demonstrating both foresight and civic courage. Many of these civic pioneers, and the models they are establishing, are profiled in my book The Call of the Land, The book is for everyone who aspires to act wisely and courageously. It shows dozens and dozens of sensible, practical, positive pathways forward in a time of profound uncertainty. Among the many possibilities, CSA (Community Supported Agriculture) continues to prove itself as a particularly valuable form for these Millennial Agrarians to exercise their will, skill, and determination. Over the course of 2010, news stories from around North America reported on steady growth and development in the CSA model and its variations. The Seattle Post Intelligencer ran one such story a few weeks back, and reported that there are by now well over 12,500 CSA farms spread across the country. As the economy and the environment wobble precariously, these farms — and the hundreds of other new agrarian initiatives taking root — are demonstrating the foundation of a path to a clean and sustainable future. The dystopian drama in the Gulf of Mexico, where a river of crude oil now bleeds wholesale, underscores a wider, ruder reality: our planetary eco-systems are beginning to collapse. In no way will our daily bread be insulated from this devastation. In this half-dead world we must dwell, and continue to find food. This is the very point that journalist Bill McKibben explores in his new book, Eaarth – Making a Life on a Tough New Planet. 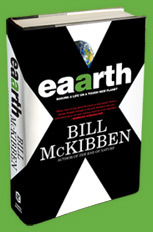 “Eaarth” is the name McKibben gives to the planet formerly known as Earth. According to Mc­Kibben, Earth with one “a” no longer exists. We have exploited and abused it beyond the point of health. A new, poorer planet, Eaarth, is what we have left. On Eaarth we are well down the road to tipping points that will, among many other travesties, catastrophically collapse the capacity of nature to provide food. 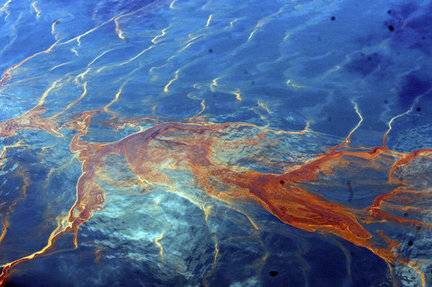 While the BP oil disaster is a signal event, the Gulf of Mexico already had massive dead zones — zones created over the last several decades by the runoff of petrochemical-based fertilizers and pesticides applied to industrial-scale farm fields all across the American Heartland, noxious substances that streamed into the Platte, the Missouri, the Mississippi and other rivers, and then into the Gulf where they spawned death. These oily realities are leading inevitably to an agrarian apocalypse. By that I mean the literal thrust of the Greek word, apocalypse, which is a “lifting of the veil,” a “revelation.” Apocalypse is disclosure of something hidden in plain sight through misconception and falsehood. 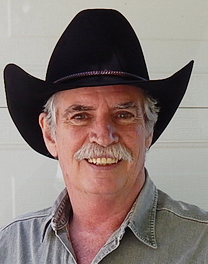 To wit, we are now in the violent twilight of the oil era, a reality which will have a direct and devastating impact on industrial agriculture and consequently on our food supply. In a literal sense, when we eat food produced by the industrial system, we eat petroleum. We already know that the burning of fossil fuels harms the atmosphere. We need to also realize that every calorie of food we consume is backed by at least a calorie of oil as it is directly manifest in fertilizers, pesticides, and fuel for tractors, combines and trucks. Oil-based agriculture will be abandoned when the economics are further skewed: when it costs farmers more money to buy petrochemical based inputs and fuel, then organic, sustainable systems will finally make sense to them. That day draws nigh. Wall Street’s money men see it plainly. 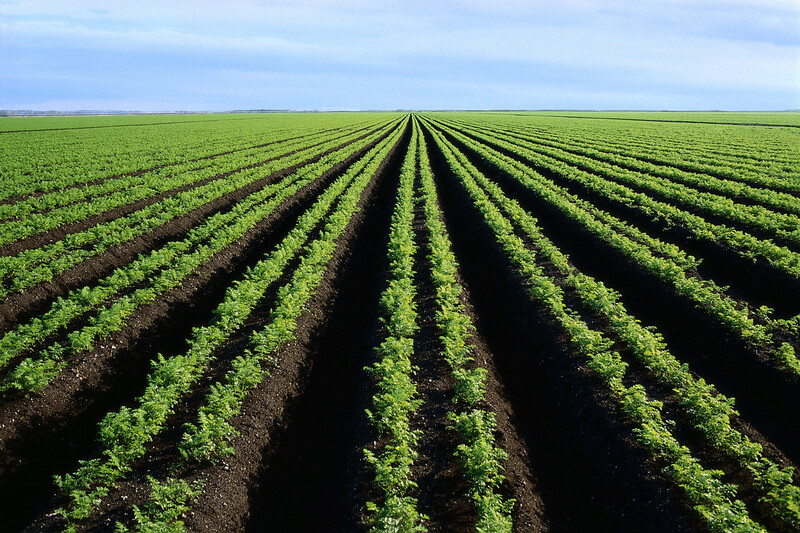 Early in May, in one event among many, 400 bankers and some of the world’s largest farmers gathered in New York City to discuss the latest hot prospect in institutional investment: farmland. According to a report in The Progressive Farmer, financiers are exceedingly keen to channel billions of dollars into buying up cropland. The land grab is well underway. Underlying their frenzy is their certain knowledge that global food demand will double by 2050, while scarcer, costlier oil will escalate the cost of food. Meanwhile, in general, we are also in a super cycle in commodities — basic resources and agricultural products such as salt, sugar, coffee, soybeans, rice, wheat, and so forth. Speculators will also drive those prices higher. 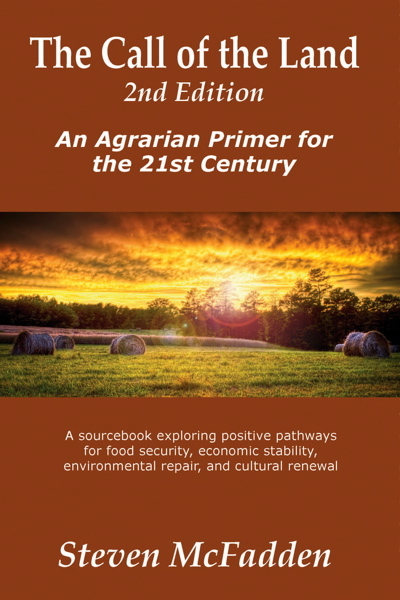 In Eaarth, McKibben includes a disturbing chapter on the inevitable decline of our oil-based, industrial agricultural system. He reckons that it will result in a series of desperate food-driven wars — human beings battling to the death for basic sustenance. But he offers a note of hope, the thought that people can willfully scale back and build the kind of societies and economies that will hunker down, concentrate on essentials, and create the types of communities (in the neighborhood, but also on the Internet) that will allow us to weather our unprecedented eco-failure. The Millennial Agrarians profiled in The Call of the Land are leading the way to this kind of change. They represent dozens upon dozens of models that can — and need to be — emulated widely and swiftly, because they can make the difference. One vibrant node in the emerging network of 21st Century Agrarianism is the venerable and trustworthy Rodale press, in particular their online magazine New Farm. Earlier this month the magazine observed that Multiple-farm CSAs (Community Supported Agriculture) bring a needed efficiency to the farmer-consumer connection. Are CSAs economically sustainable over the long haul, or will they last only as long as the idealism of the core people involved? New Farm observes that there is greater stability and staying power in a community of community farms. As the environment, the oil supply, and the economy wobble wildly, multifarm enterprises are definitely worth considering. 1) Supplemental farms: A single CSA farm with supplemental share options or products from other local farms. 2) Multifarm CSA: Growers are networked to supply a CSA-like ordering, distribution and seasonal food support system. 3) Cooperative CSA: Growers form a legal cooperative to work out growing, quality control and marketing structures, usually with staff to handle the many non-farming duties associated with a CSA. The Millennial Agrarians are showing a multitude of positive pathways. Worldwide, not just economic systems but also agricultural systems are mutating at breakneck speed. The factors include the kind of financial bubbles and shaky credit that have roiled global monetary markets, and also genetic engineering, vast monocropping, stupendous. problem-plagued animal-confinement operations, oil-based agrichemical use, aquifer depletion, farm consolidation, and over processing. While there is no single remedy for the ills afflicting our farms and our food, there are dozens upon dozens of positive paths and possibilities. I have come to think of the thousands of people following these paths, and actively exploring new ones, as the Millennial Agrarians. They are the subject of The Call of the Land, and in my view their stories ought to be front page news week after week to serve as models and inspiration. When a ‘new normalcy’ of some description is finally established, it will be a clean and sustainable state of affairs for certain. Nothing else will stand. And it will arise from the efforts of the new agrarians on behalf of the people, the animals, the plants and the land. With their models and their ethics, these trailblazers are revealing how a sustainable agrarian ethos and practice can rebuild a steady, healthy foundation upon the land in relation to the fragile high-tech, digital-wave culture that is emerging so dynamically in the ethers. Excerpt from Abraham Lincoln’s address to the Wisconsin State Agricultural Society, 1859.